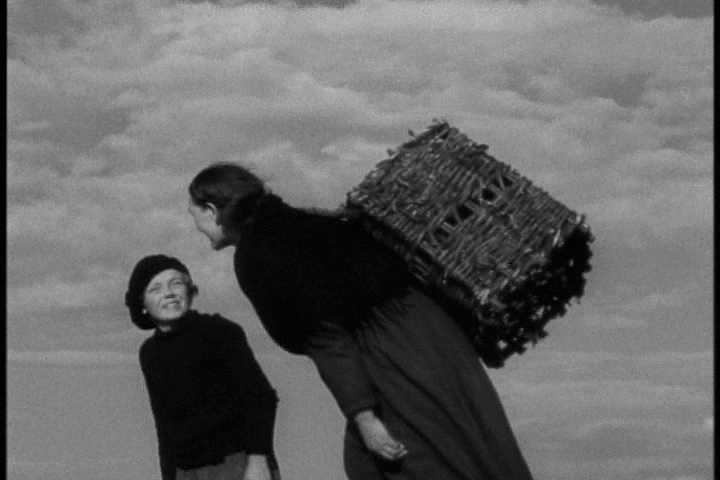 A fisherman (Colman ‘Tiger’ King), his wife (Maggie Dirrane), and their son (Michael Dirrane) work hard to survive on the beautiful but harsh terrain of the rocky Aran Islands. 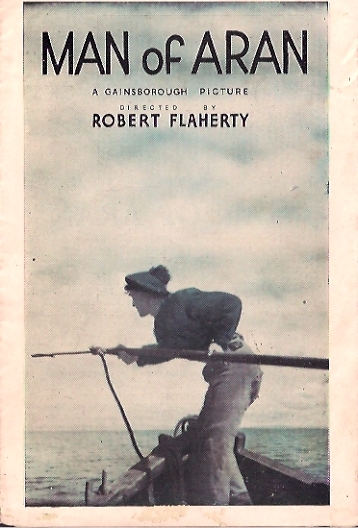 Renowned American documentarian Robert Flaherty is best known for his groundbreaking silent feature Nanook of the North (1922) — a pseudo-documentary which began a series of films based on the theme of “man against nature”, followed by Moana (1926) and this title. As in Nanook… and Moana, Flaherty deliberately crafts a story meant to represent an archetypal “survival culture”, utilizing “realistic drama” rather than strict ethnography: once again, he casts various striking-looking villagers as Father, Mother, and Child; and a pivotal scene — when a group of fishermen spend two days capturing a shark — was staged after teaching the participants how to carry out this survival skill of their recent ancestors. 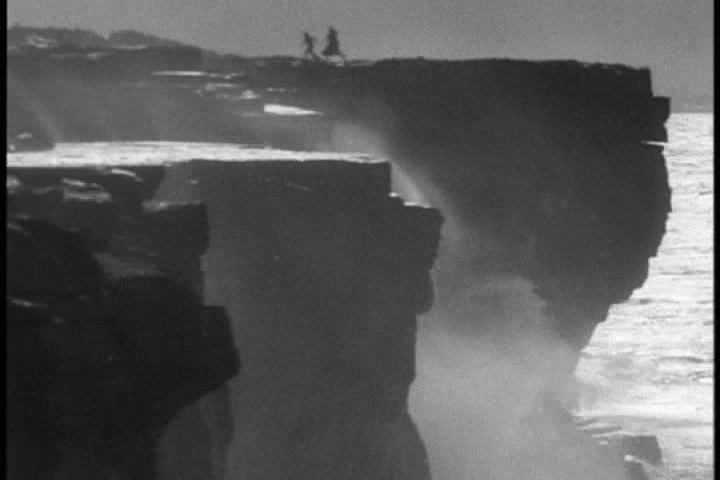 With all that said, Man of Aran remains an undeniably striking film, and accomplishes its goal of demonstrating how challenging it can be for humans to exist in less-than-convenient geographic locations. While not must-see, film fanatics will likely be curious to check this title out at least once — and if you do, be sure to follow up immediately by watching the essential 1976 documentary How the Myth Was Made (included on the DVD), in which a filmmaker tracked down the original actors and crew and learned how the film impacted the tiny island community (primarily in terms of tourism, it turns out). No, but it’s worth a look for its historical interest. Listed as a film with Historical Importance and a Personal Recommendation in the back of Peary’s book. Not must-see. No doubt the film had more impact on its initial release. Time has revealed how limited this film is in lasting appeal. The film works within a very small range of events (a small handful, really), and is rather repetitive – we also get countless shots of fierce ocean waves crashing against a shoreline. There is a small amount of dialogue here and there in the film – but we may as well be watching a silent, since all of the visuals suffice in letting us know what’s going on. ‘MOA’ will be most appreciated by those who have a particular interest in the specific subject matter.